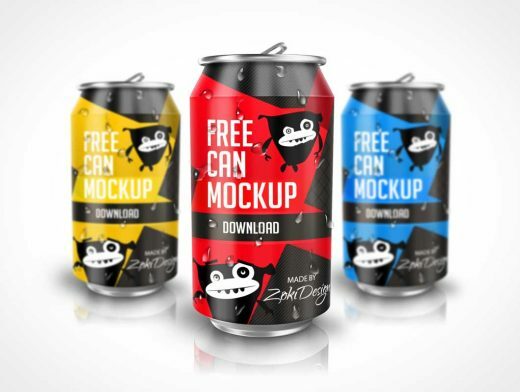 This free stylized soda can PSD Mockup comes with shadows and dew drops on the can surface. Both of these elements may be toggled off. The background layer can also be toggled off to reveal a fully transparent can allowing you to place your own background scene.